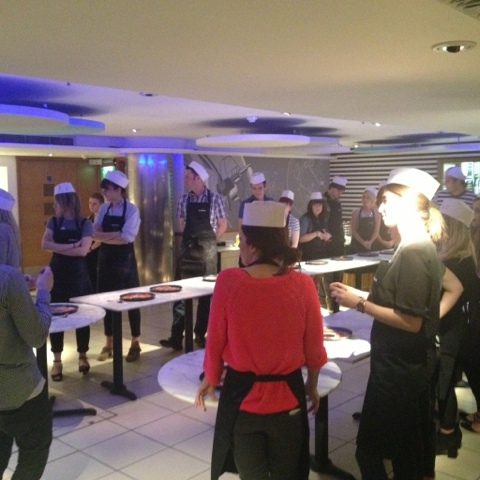 Last week I went along to a pizza-making lesson at Pizza Express in Holborn to celebrate the launch of the new summer menu. It was a really cool evening filled with food, drink, pizza making and then pizza eating! We started off the event with a few olives and drinks, I tried the Pinot Grigio blush which went down (a bit too) easily! We then donned some pimpin aprons and hats (and let’s be honest everyone in the picture below looks like the colonel from KFC) and got down to some pizza making. After kneading and rolling the dough we went to put them in the pan, which was when the guy taking the class decided to tell me that mine was rubbish and did me a new one himself. I wonder if I do the ironing really poorly someone would come and do that for me? Seems like an avenue to explore. After Mr Smarty Pants redid my pizza we cut the hole out of the middle as after cooking the gap is filled with salad and one of these low calorie pizza and salad combos is called a Leggera Pizza. Leggera pizzas have been carefully created to bring customers pizzas that taste delicious but with only 500 calories. Leggera pizza options include Pomodoro Pesto, Padana and American Hot. If I am being entirely honest with you I still think the Fiorentina pizza with spinach and an egg would be my choice if I went to Pizza Express, just because it is soooo delicious and I rarely go so I feel I should treat myself. If, however you go out a lot then this is a great option. Perhaps on a date night so you can have a pizza but still keep the calories as low as possible. I do think if you check out the new menu, you’ll be pleasantly surprised. And I seriously recommend the Pinot Grigio blush rose, responsibly obviously (you wouldn’t want to stay out so late you miss your last train home or anything like that) LOL! All calorie information can be found at www.pizzaexpress.com and according to Which? 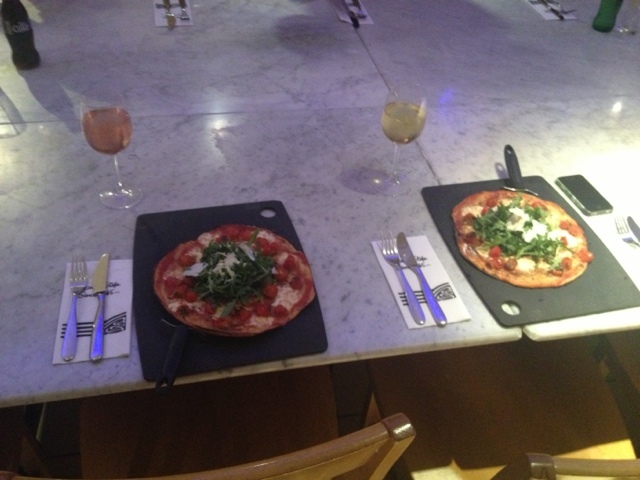 the Pizza Express pizzas are the lowest in fat and calories with the best taste of all of the leading UK pizza chains. 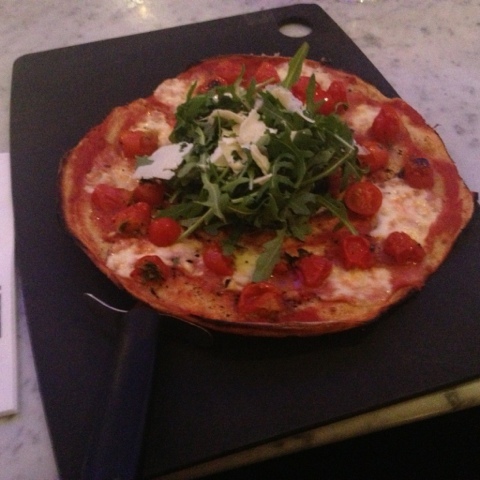 I certainly think Pizza Express have the tastiest pizzas out of the other chains that I have been to. Do you like Pizza Express? Previous Post Finally an update!